Email Marketing Month is in full swing here at SmartPassiveIncome.com. Today, I’m giving you a quick demo of a brand new email service provider I’ve totally fallen in love with: ConvertKit. ConvertKit has so many excellent features. It’s beautifully designed, ridiculously easy to use, and makes your analytics simple to understand. It also comes with higher-level features like segmentation and tagging, so it’s perfect for users at all levels with all kinds of needs. Thanks so much for watching SPI TV, and be sure to subscribe (via YouTube or iTunes) to get new episodes of SPI TV delivered to you each week!! Also, don’t forget to download my brand new eBook, Email the Smart Way! 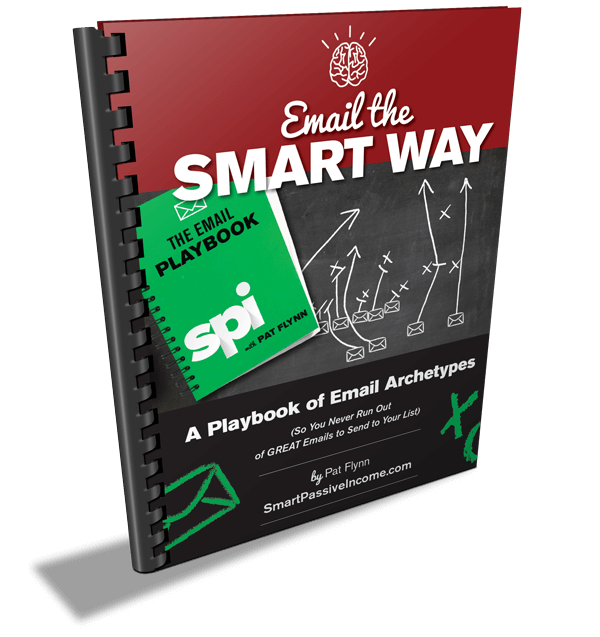 It’s a FREE playbook of various types of email archetypes that you can use in your broadcasts and autoresponder emails, so you don’t ever run out of great emails to send to your list. Building a list is one part of the battle, understanding what to send is the other.